The new CEO of Research In Motion (RIM) has ruled out the possibility that the trouble Canadian mobile firm will see its BlackBerry smartphones drop further market share, claiming that it will remain one of the world’s top three players. The 54 year German, who stepped up to the position after RIM after company’s co-CEOs Mike Lazaridis and Jim Balsallie both made way at the top, was formerly COO at the firm. While Lazaridis, who was RIM’s founder, and Balsallie enjoy a high profile in the tech scene having spent 20 years sharing the job, much less is known of their successor. 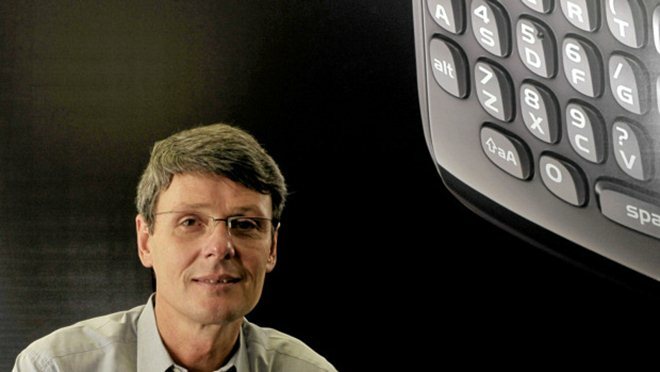 However, in an interview posted to YouTube by RIM, Heins shares his thoughts on the company, its progress and future. We continue doing well what we’re doing, I see no problem with us being in the top three players worldwide. We’ve learned to execute and, though we need to get better at execution, we’ve learned a lot. When we say that a product is defined, we must move decisively into execution mode and get the product done with good quality, on time and at good cost. Heins stresses his belief that RIM is always innovating, although he is planning to introduce more dedicated research away from products. He has also pledged to increase marketing activity, as he believes that the company can do a better job of communicating its products with customers and consumers. Heins sees that RIM is “travelling in the right direction” with the planned launch of the BlackBerry 10 operating, which he would be prepared to license out to device makers on a “case by case basis”. He claims that the upcoming new operating system is one of the biggest moves that any wireless firm is made of late, at that it will keep RIM competitive through a range of new devices. While some have called for RIM to move to Android or Microsoft’s Windows Phone 7 platforms to regain competitiveness, such a step seems highly unlikely under Heins’ stewardship given his comments. As Nokia proved when it appointed Stephen Elop as its head last year, a change at the top can have a massive impact on a company. The Finnish firm has enjoyed a resurgence in favour with the production of Windows Phone 7 devices, through the highly acclaimed Lumia series, but RIM looks set to continue without wholesale changes. Rather than injecting new ideas and a different approach through an outside hire, RIM is sticking to where it is going and what it’s got, albeit with a different man at the wheel. While that move may temporarily please investors who are seeking a change in the short term, it serves to increase the pressure on BlackBerry 10, which may well need to become RIM’s saviour.